As a business owner, you are thinking about the successful operation of your business just about every waking moment of your day. Every successful business requires continuous planning. A well-crafted business plan allows your company to stay on course and have a yardstick against which to measure its progress. 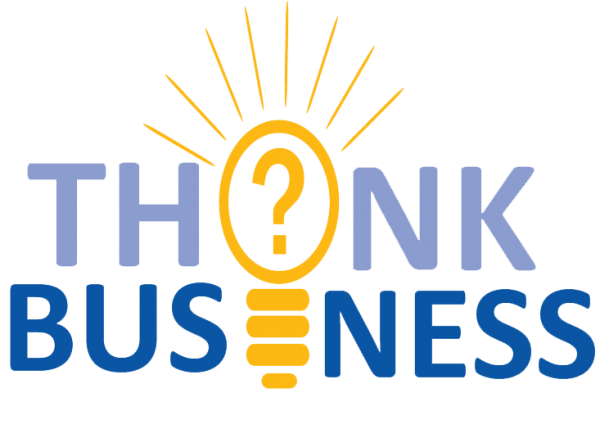 The Think Business Series is comprised of four (two hour) sessions that serve as guidance in developing a business plan. This includes market research, marketing and sales, operations and startup costs, as well as financials. A well thought out plan is necessary to provide a significant competitive advantage, achieve company goals, and obtain funding. Register today! 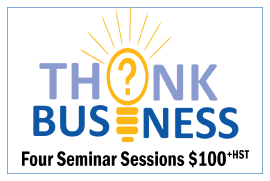 This session will assist you to achieve a candid assessment of your business concept, your market, and analyze your industry. It will also help assess your competitors and target market customers to improve and strengthen your business. • Who will pay you for your product/service? • How much are they willing to pay for your product/service? • What are your competitors charging for your product/service? • How often will your target market purchase your product/service? • What is your product/service's position in the marketplace? This session will help you determine how you will reach your target market and create strategies to promote the business. This includes pricing, product/service presentation, web & social media presence, as well as a consistent brand image and messaging. • How are you going to tell people about your product/service? • What are you going to tell them about your product/service? • How much will you budget for marketing? • What marketing strategies will you be using? • What are your metrics to measure effectiveness? This session will help you provide an overview of the "nuts and bolts" of your business, exploring how and where your business will operate, human resource considerations, legal considerations, costs, and associated risks. • Will you be hiring employees or independent contractors? • What legal issues are concerning to your business? • How will you fulfil customer orders? 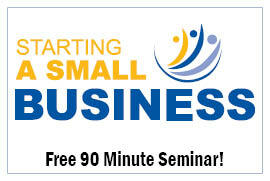 • What costs will you incur to start your business? This session will introduce you to cash flow and income statements and help you plan financial projections for your business, including sales forecasts. The Break-Even Analysis will assist you to calculate how much you will need to sell to cover your expenses and provide insight to the viability of your venture. your sales projections either positively or negatively? • What will your monthly expenses be? • At what point will your revenues cover your expenditures? Cost to attend is $100 (plus HST), including materials. * Note - The time of these sessions alternate from 2:30 p.m. - 4:30 p.m. or 5:30 p.m. - 7:30 p.m. depending on the month. Registration for this series being held in April includes registration for all four sessions: April 3rd (5:30 - 7:30), April 10th (5:30 - 7:30), April 17th (5:30 - 7:30), and April 24th (5:30 - 7:30). 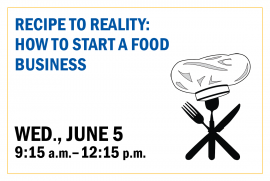 Registration for this series being held in May includes registration for all four sessions: May 1st (2:30 - 4:30), May 8th (2:30 - 4:30), May 15th (2:30 - 4:30), and May 22nd (2:30 - 4:30). Registration for this series being held in June includes registration for all four sessions: June 5th (5:30 - 7:30), June 12th (5:30 - 7:30), June 19th (5:30 - 7:30), and June 26th (5:30 - 7:30). NOTE: For your convenience free parking passes will be provided for all four seminar days upon registration. Please plan to arrive at least 15 minutes prior to start time.